Within driving distance from our school, there are TONS of exciting summer performance opportunities! The list below are camps/workshops that are well-regarded, and many of them have been attended by our students. Many camps listed below have scholarship opportunities. Be sure to read their websites carefully to find them! Also, if your child $200+ in the MPC Wreath & Coffee Sale, they are eligible for an MPC Summer Camp Scholarship. The MPC Scholarship form is due by May 1, 2019. Don't forget about the Summer Lessons here with our own band directors! If you are interested in summer lessons here at District 28, just download the form and return it to your child's band director. The Middle School Concert Band Camp at the Music for All Summer Symposium offers a week-long, immersive camp experience for middle school band students. Students will spend an inspired, fun week with renowned teachers, exciting artists and fellow campers from across the country. Designed from the ground up with the middle school student in mind, students will grow as both musicians and individuals. Their experience will be positively life-changing! Greg Scapillato live the mission every day, as middle school band directors and, themselves, parents. You are looking for a safe environment for your child, with exceptional teaching from distinguished faculty. You also are looking for value. The Music for All Summer Symposium provides lodging, meals, tuition, materials, teachers, and concerts for a reasonable cost that is far exceeded in value and impact. Designed for junior high students who play wind, brass and percussion instruments, the primary focus of this program is developing individual musicianship through a large ensemble setting. During second session, students will audition and be placed in either the Junior Orchestra or Band. During third session, students will audition and be placed in either the Symphonic Band or Concert Band. Classes include full ensemble and sectional rehearsals, master classes, and elective courses. 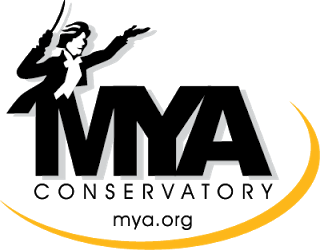 An excellent option for your child who is not quite ready to head out of town for summer camp, MYA hosts several unique summer musical opportunities for young musicians. Develop your craft while playing alongside members of Quintet Attacca! Held in the northwoods of upper Michigan, the Blue Lake Fine Arts Camp has been the choice of many of our NBJH students over the years. The camping-type atmosphere is complete with cabins for housing, campfires, and practices held outdoors. Blue Lake fosters a fun environment where the students are encouraged to grow in both personal and musical aspects.